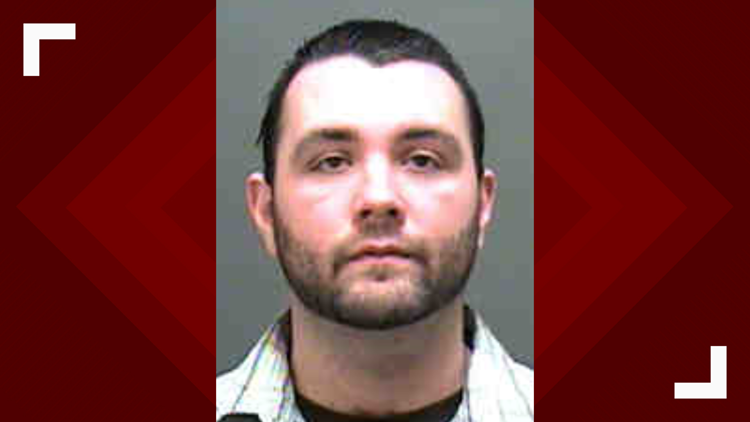 Investigators said Officer Timothy Kiefer perceived an "imminent deadly threat" after he got out of his car and made contact with the suspect, identified as 32-year-old Michael Daniel Kelley. CHARLOTTE, N.C. — A man died Wednesday afternoon following an officer-involved shooting in west Charlotte, according to Charlotte-Mecklenburg Police. It happened around 4:30 p.m. in the 1500 block of West Boulevard near Remount Road. Police said that's where officer Timothy Kiefer found a man fitting the description of a suspect who was wanted in two armed robberies. Investigators said Kiefer perceived an "imminent deadly threat" after he got out of his car and made contact with the suspect, identified as 32-year-old Michael Daniel Kelley, which prompted Kiefer to fire his weapon, striking Kelley. According to CMPD, Kelley quickly approached Kiefer's patrol vehicle. Kiefer got out of the vehicle and gave Kelley commands to stop. When Kiefer attempted to engage his K-9, police say Kelley started to run at Keifer, who then fired his weapon. Before the shooting, police said Kelley went into a church in the 300 block of Freeland Lane and asked a man for money around 1:30 p.m. When the man refused, authorities said Kelley cut the man with a box cutter, took his keys, and stole his car. Police said Kelley robbed Family Dollar in the 4600 block of Tyvola Road after he left the church. Employees believed he was armed with a gun; however, no one was hurt. Later, officers found the stolen car abandoned in a shopping center in the 1500 block of West Boulevard. A further search led the K9 to Kelley. Kelly was taken to the hospital where he died. Detectives later found a knife at the scene. CMPD's Internal Affairs Bureau will investigate to determine whether policies and procedures were followed. The officer was placed on paid administrative leave which is standard procedure. Anyone with additional information should call 704-432-TIPS or visit the Crime Stoppers website.